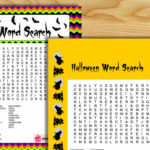 On this page you will find three different designs of Free Printable Halloween Word Search Game. 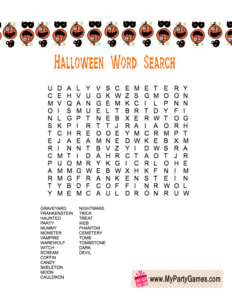 I have collected a list of Halloween related words and created this word search game. 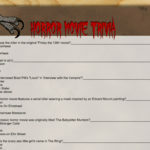 You can click on any thumbnail of the game card of your choice and then right click and save the bigger image. 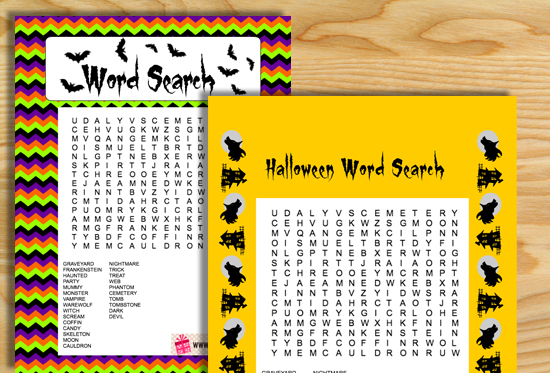 These free printable word search game worksheets can be easily printed using a home printer. 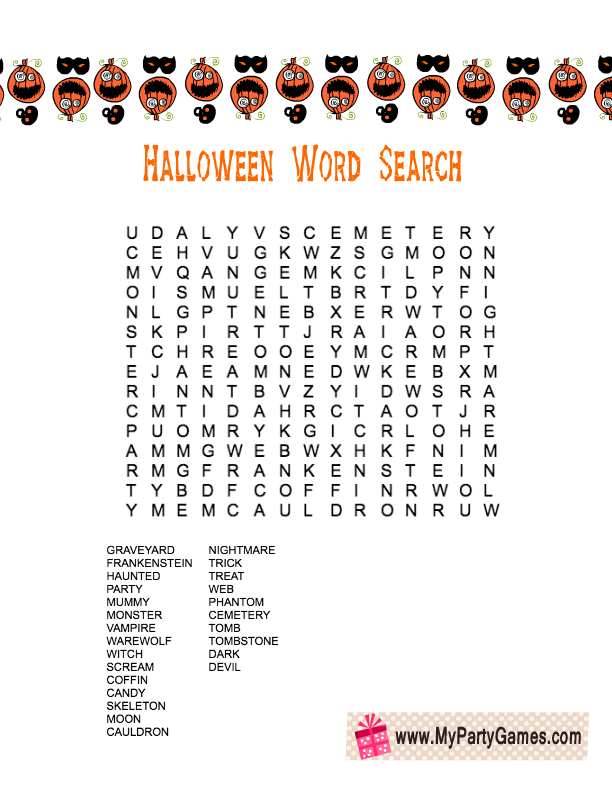 You can play this word search game with your family, in classrooms or on your Halloween party. 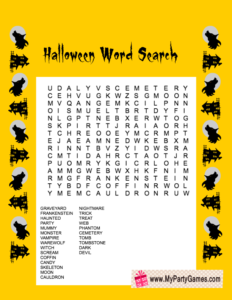 Print and distribute these free printable Halloween word search game cards among the players along with a pen or pencil. 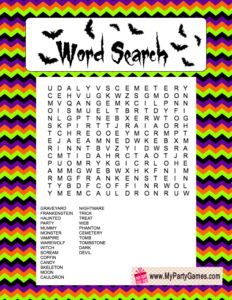 Ask them to find all the words within five minutes. 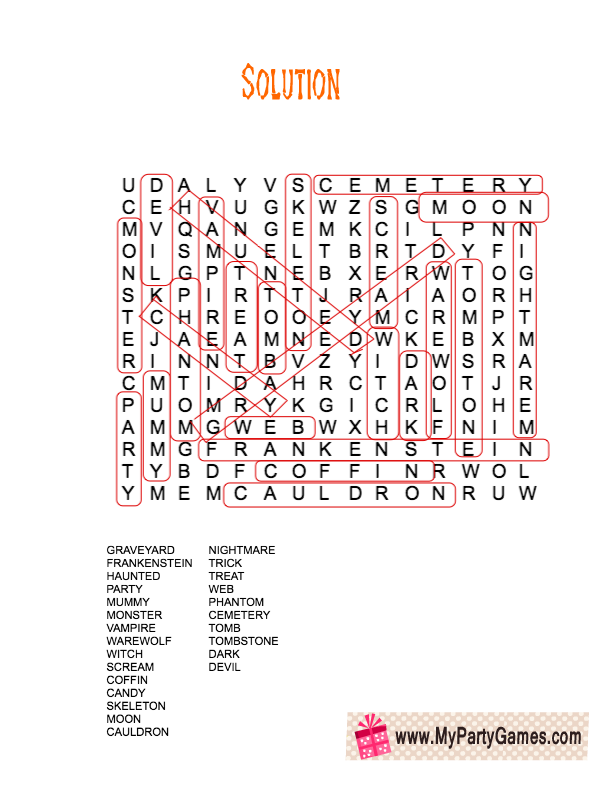 These words could be horizontal, vertical or diagonal. 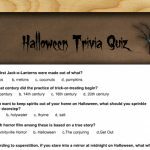 Click here to download a solution for this game. 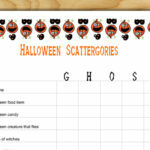 This is the first worksheet or game card of this free printable Halloween word search game. 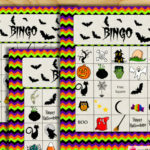 It has a colorful chevron patten in background. 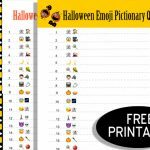 You can print this colorful card for your Halloween party. 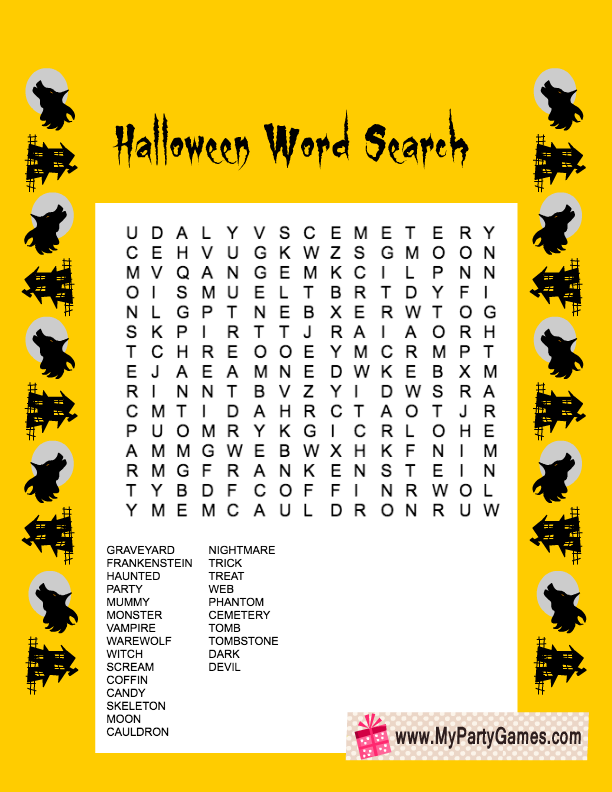 This is the second design for this free printable Halloween word search game. 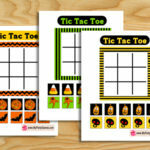 It has a yellow background and images of haunted house and ware-wolves. 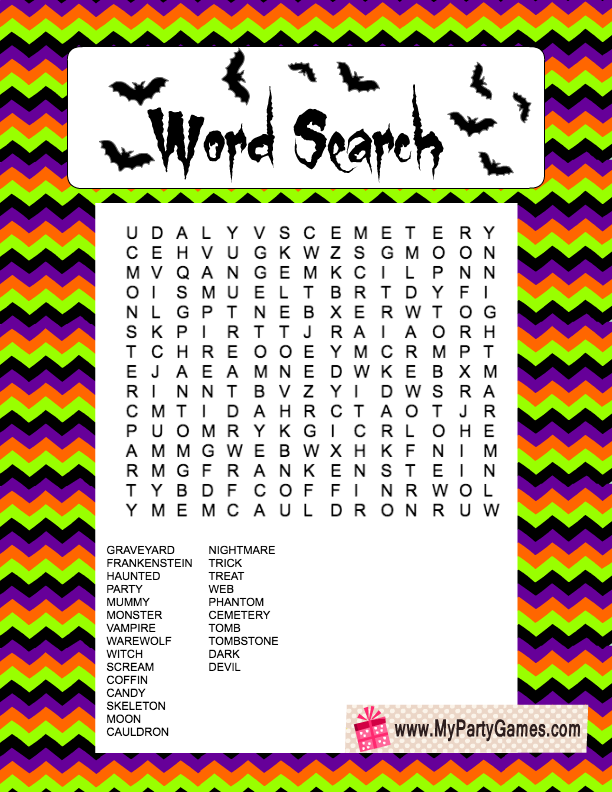 This is a printer friendly version of this free printable Halloween word search game. 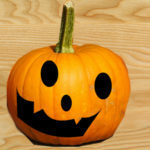 It has images of a crazy pumpkin and skulls.